The Hallelujah Diet is a very powerful recovery diet from illness. 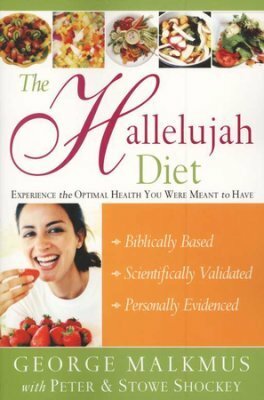 The Hallelujah Diet has worked for thousands of individuals seeking nutritional guidance and healthy eating habits. In 1999 after much study and prayer, I decided to follow this diet to cure my cancer. Barbara and I studied with Dr. Malkmus and became Health Ministers. We now more fully understand the implications of the Standard American Diet (SAD) and the power of healthy eating through a plant based diet. In 1976 a Baptist minister, in Glenn Falls, N.Y., by the name of Rev. George H. Malkmus was diagnosed with colon cancer. Prior to his diagnosis, his mother died of colon cancer. Rev. Malkmus observed his mother's rapidly declining health after she received surgery, radiation and chemotherapy. She was a nurse and accepted the treatments that hastened her death. Rev. Malkmus decided that he would not submit himself to the treatments that his mother agreed to and searched for other means to rid himself of a baseball sized tumor in the colon. An evangelist friend, Lester Roloff, offered a different solution for Rev. Malkmus. In the preaching circuit Lester Roloff was known as "Carrot Juice Roloff". Lester convinced George to eat raw vegetables and fruits and drink lots of freshly made carrot juice. In less than a year the cancer was gone as well as a multiple of other physical problems. Rev. Malkmus did not use any medical intervention to cure his cancer. When he adopted God's diet plan from Genesis 1:29, which is a plant based diet, all his physical problems vanished. Hal followed this diet to cure his cancer. I think this was surely George's "Hallelujah" moment. He forged ahead to eventually produce The Hallelujah Diet and lifestyle and started Hallelujah Acres that is now located in Shelby, North Carolina. Thousands of people around the world have recovered their health with this diet. It is not for the uncommitted. It is difficult at first - but it works! I can testify to that. Dr. Malkmus is still very active in Hallelujah Acres. The Hallelujah Diet has a recovery diet. If you have a life threatening disease and a compromised immune system you would want to follow the recovery diet which is more aggressive than the standard diet. With the recovery diet you will consume two quarts of carrot juice per day with barley powder and added vitamins and supplements. You will probably turn orange as I did with this much beta carotene in your body. Not to worry - because you will soon realize the great benefit of carrot juice, and eventually the orange will fade away when you return to the standard diet after resolving your illness. The length of the recovery diet is determined by how long you have had the illness. It could be twelve to eighteen months. 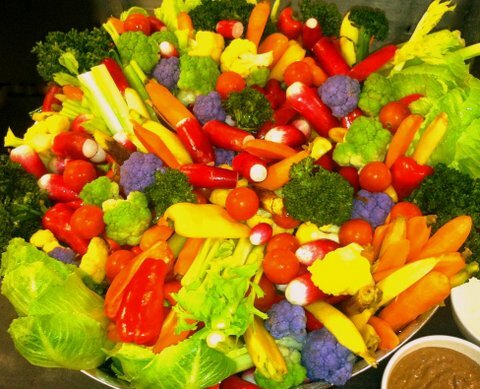 The recovery diet will flood the body with all the power of live foods to hasten the rebuilding of the immune system. It's good to be orange! We still juice 5 times a week. Healthy eating does not include the consumption of animal products. I believe that the most important aspect of The Hallelujah Diet and many other plant based diets, is the elimination of all animal products, most processed foods, dairy products, refined sugars and artificial sweeteners. These are the foods that are the main culprits of sickness in America. One of the unique characteristics of The Hallelujah Diet is the juicing of fresh vegetables. Other diets that we discuss here do not require juicing. The Hallelujah Diet is not for the timid! It takes determination to maintain the 85% raw foods. When facing a life threatening illness, a healthy eating lifestyle with The Hallelujah Diet becomes an easy choice. After recovering from cancer, I found the recovery diet unrealistic to maintain for long term. I now eat a small piece of fish every now and then, and continue to stay on a diet of only plant based food. I still consume organic carrot juice at least 5 times a week, eat lots of raw and cooked vegetables...just not in the proportions of the 85% raw and 15% cooked diet. This diet saved my life and I do not hesitate to recommend it to you if you are seeking recovery from most any illness. Below is a basic guideline of foods eaten on The Hallelujah Diet. This portion of the Hallelujah Diet is composed exclusively of the garden foods God instructs man to eat (Genesis 1:29). The dense living nutrients found in raw foods and their juices produce abundant energy and vibrant health while satisfying our cells' nutritional needs, controlling hunger efficiently. DAIRY ALTERNATIVES: Fresh almond milk, creamy banana milk, as well as frozen bananas, strawberry or blueberry "fruit creams"
SWEETS: Fruit smoothies, raw fruit pies with nut/date crusts, date-nut squares, etc. Cooked foods follow the raw salad at lunch or evening meals and can prove beneficial for those trying to maintain body weight. GRAINS: Whole-grain cereals, breads, muffins, pasta, brown rice, millet, etc. VEGETABLES: Steamed or wok-cooked fresh or frozen vegetables, baked white, yellow or sweet potatoes, squash, etc. Beef, pork, fish, chicken, eggs, turkey, hamburgers, hot dogs, bacon, sausage, bologna, etc. NOTE: Do not discontinue doctor prescribed drugs without doctor's permission. Legal Disclaimer: The health and nutritional information in this website is for educational purposes only. You should contact a healthcare professional before starting any changes of diet or eliminating any medication. Barley Grass Powder - A powerful alkaline food that has been a major part of the recovery from cancer. 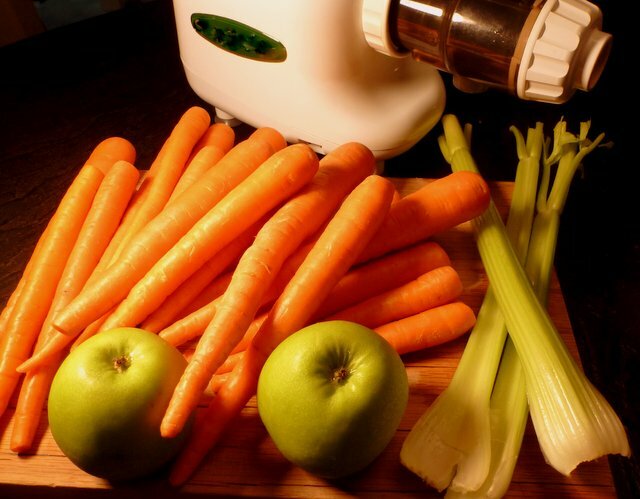 Benefits of Juicing - is juicing for life. When you drink live juices the cells are flooded with life giving nutrients. The Protein Myth - is the idea that animal products are the only way to get quality protein.